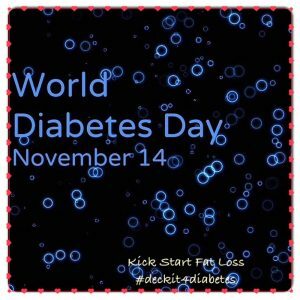 A truly global event, World Diabetes Day occurs in over 200 diabetic member associations, in over 160 different countries. To help raise awareness for both Type 1 & Type 2 Diabetes the Business Owners of Kick Start Fat Loss have been challenging everyone live and on social media to do 10 burpees, film them, upload to social media & nominate 3 friends to do the same. You can then text DUK to 70500 to make your donation to Diabetes UK. 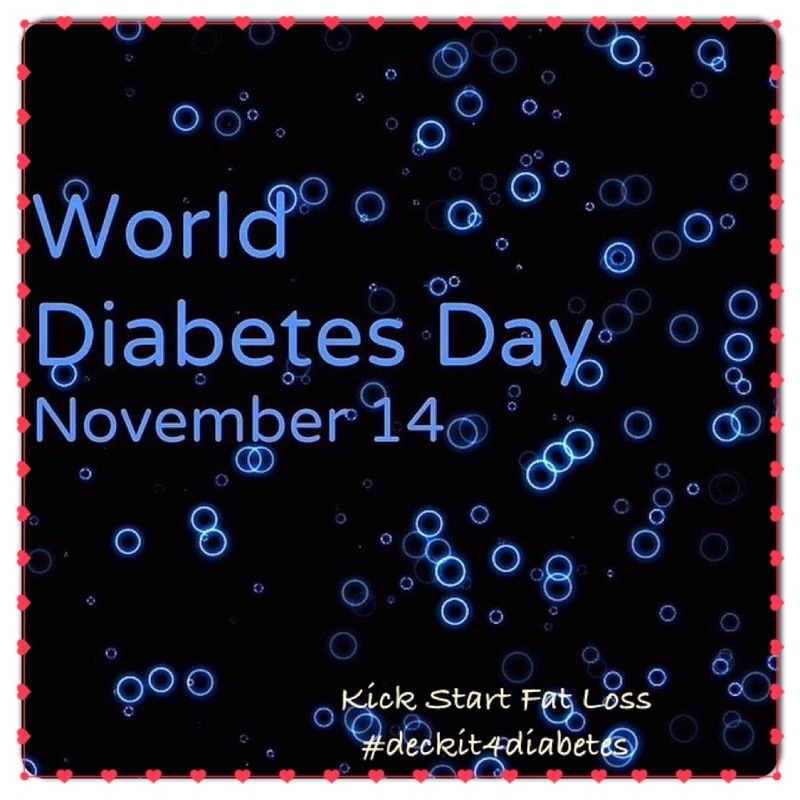 The Kick Start #Deckit4Diabetes burpee videos are spreading virally via social media with the Kick Start Instructors posting health, fitness & nutritional information to help T1 & T2 Diabetes. There are 3.2 million people in the UK with Diabetes and 630,000 who have the condition, but don’t know about it. • Insulin is the hormone produced by the pancreas that allows glucose to enter the body’s cells, where it is used as fuel for energy so we can work, play and generally live our lives. It is vital for life. • Glucose comes from digesting carbohydrate and is also produced by the liver. • If you have diabetes, your body cannot make proper use of this glucose so it builds up in the blood and can’t be used as fuel. • There are two main types of diabetes: Type 1 diabetes and Type 2 diabetes. • There is not enough insulin or the insulin is there but not working properly (Type 2). The Kick Start Fat Loss Programme has helped diabetics all over the UK reduce medication, get fitter, leaner and live a more active & healthier lifestyle. If you have T1 or T2 Diabetes contact your local Kick Start Fat Loss Class Coach & sign up for a live or an online programme. The Kick Start Team will be posting workouts, information, recipes & meal planners to help diabetics manage their condition through the latest nutrition and fitness research and advice.